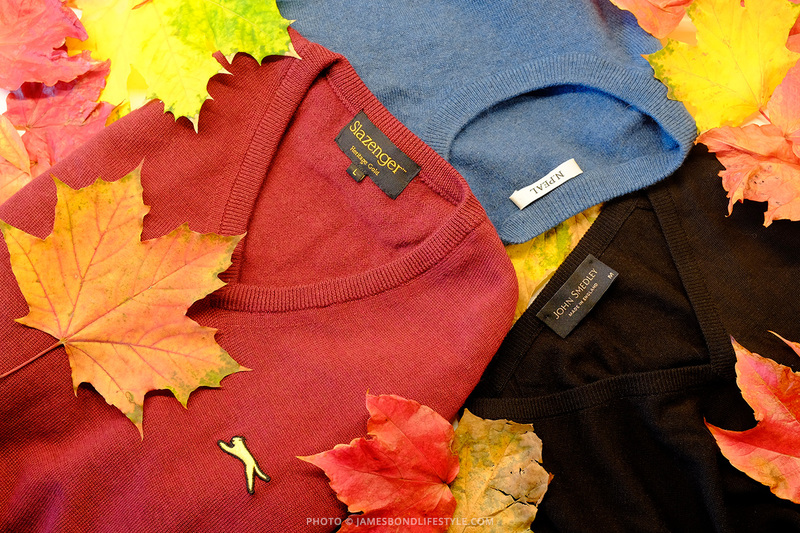 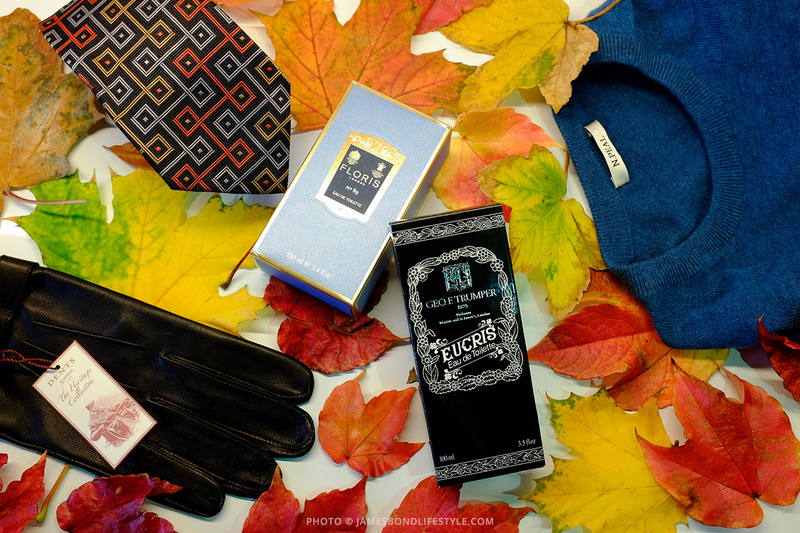 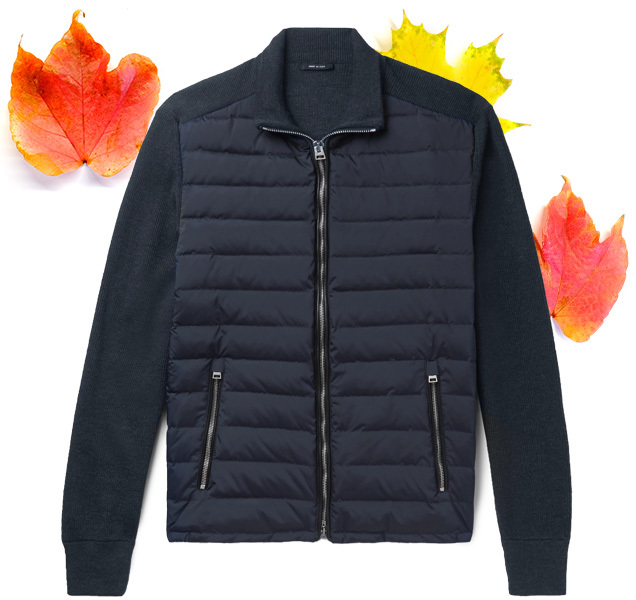 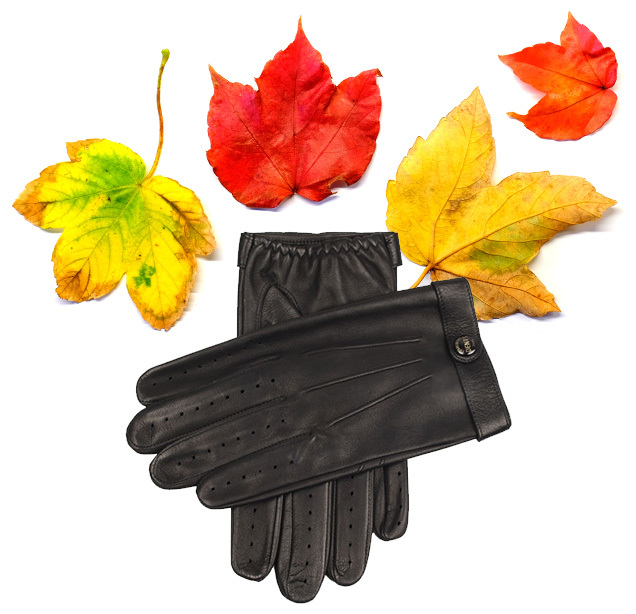 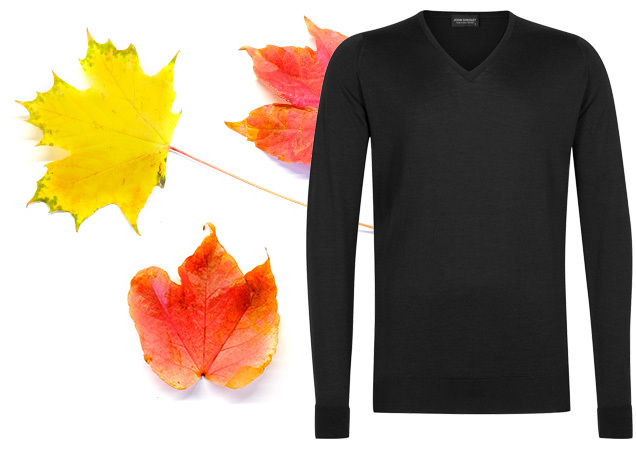 Gear up and stay warm in style this autumn with these handpicked suggestions. 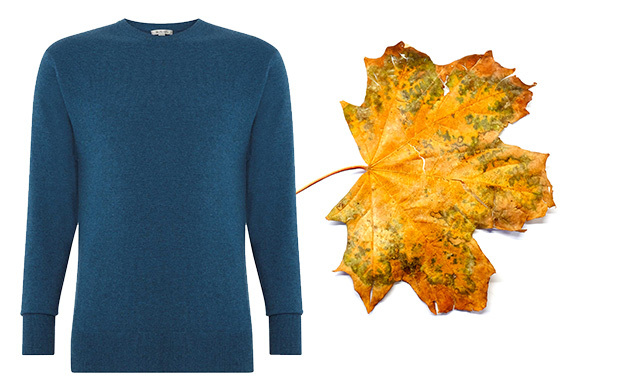 Part of one of the most popular Bond outfits, this blue N.Peal Oxford Round Neck cashmere sweater was worn in SkyFall (2012) under a Barbour jacket in the Scotland scenes. 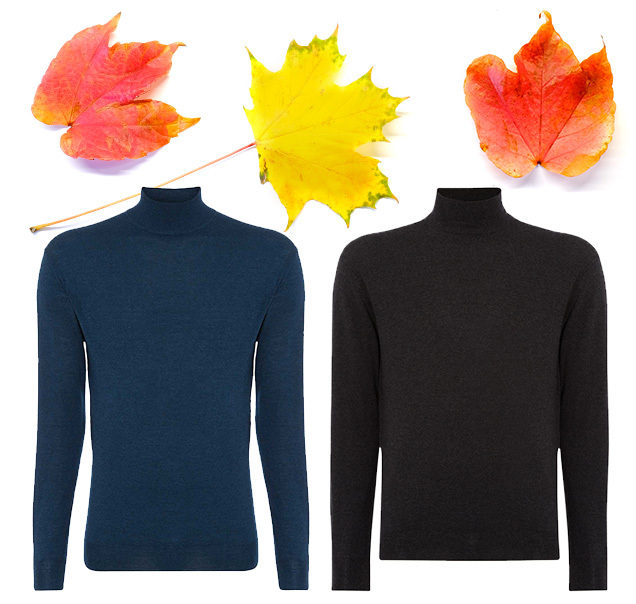 These light weight mock turtle neck sweaters as sen in SPECTRE by N.Peal are a perfect for an autumn Bond adventure. 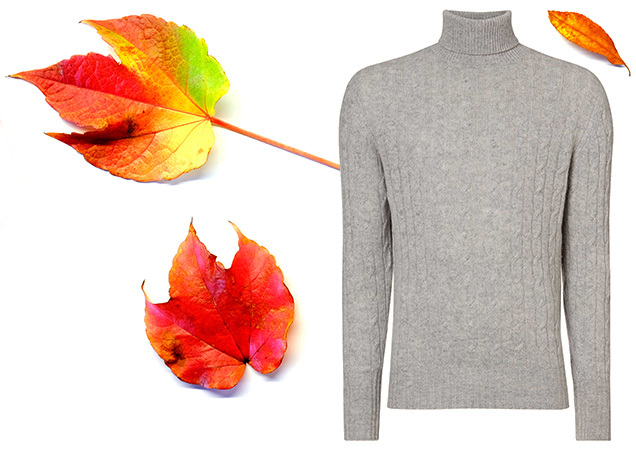 Heavier than the mock turtles necks mentioned above, this Cable Roll Neck cashmere sweater is great for surving the cold winter days in style. 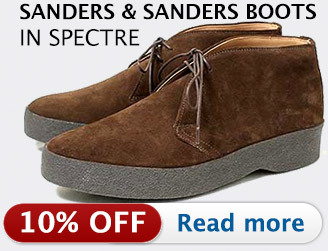 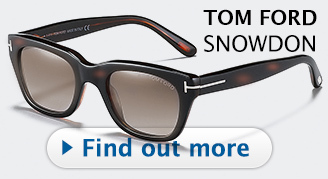 Worn by Bond in Austria when visiting Mr. White, under his blue Dior jacket. 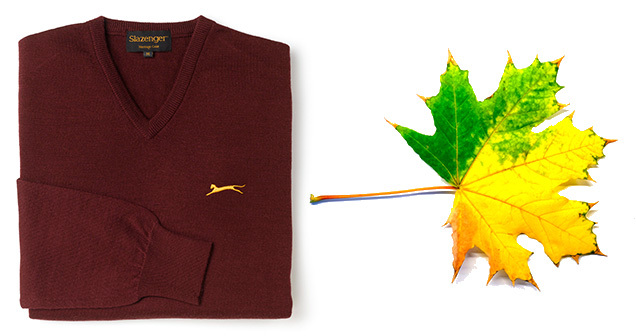 The Slazenger v-neck sweater worn by Bond during his golf match against Goldfinger has been reissued by Slazenger Heritage, and is also available other colors worn by professional golf players. 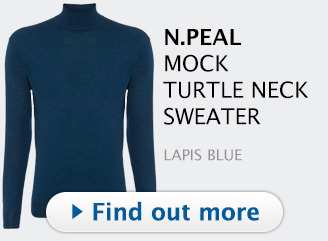 and Daniel Craig wore the same sweater during some SkyFall press calls. 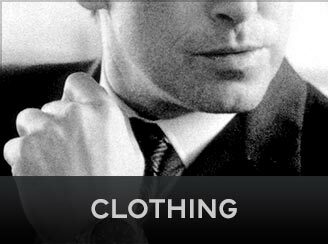 In Goldfinger, Bond wears a similar v-neck sweater with his all-black outfit when he sneaks into Goldfinger's factory. 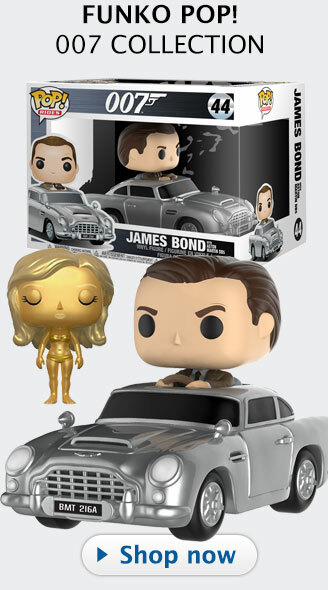 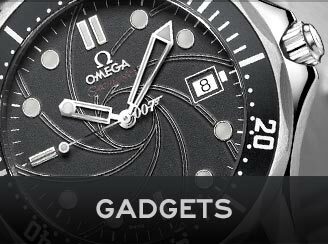 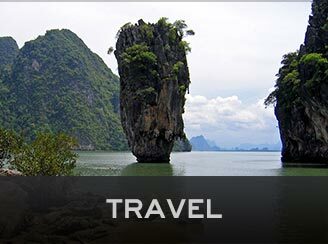 Bond wears Dents Gloves in SkyFall (Shanghai and London scenes) and he wears Dents Driving Gloves in the Aston Martin DB10 car chase scene in SPECTRE. 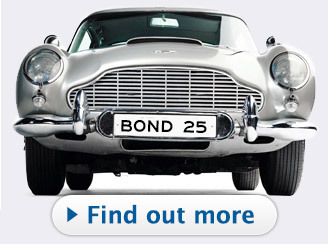 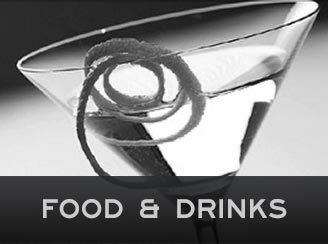 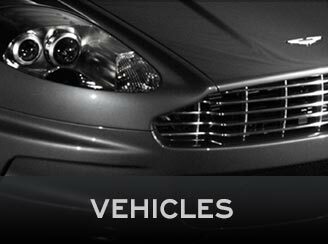 Enter the exclusive Bond Lifestyle discount code JBL20 during checkout at Dents to get 20% off your Dents gloves. 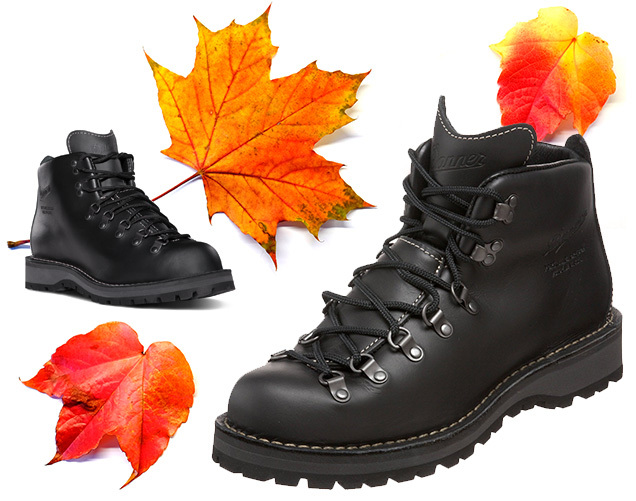 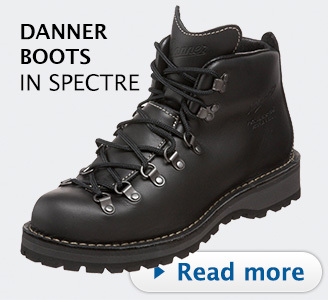 Danner Boots are worn by James Bond in the Austrian Alps in SPECTRE. 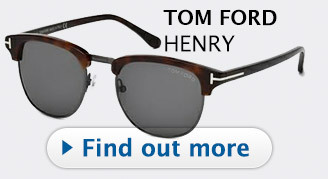 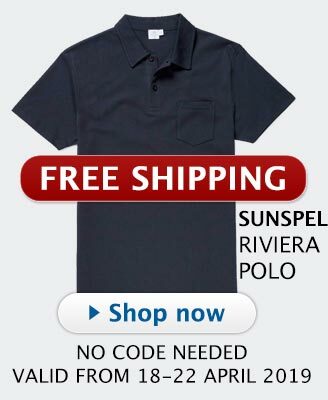 The same model is still available on Amazon, make sure to get the right size as there are different widths and lengths. 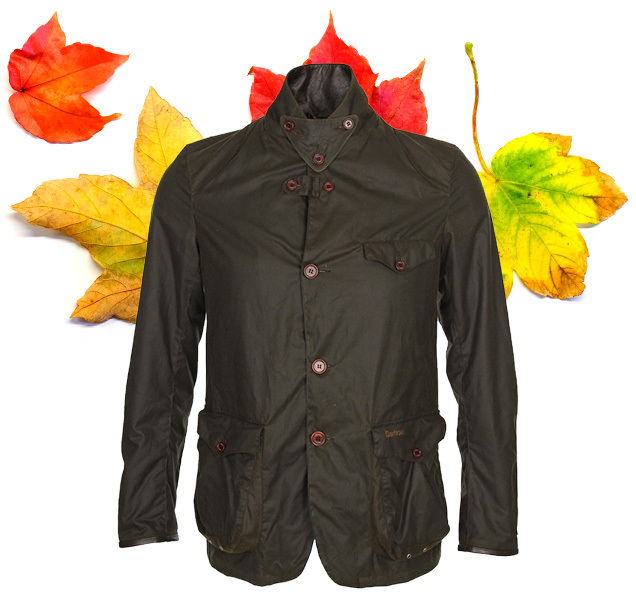 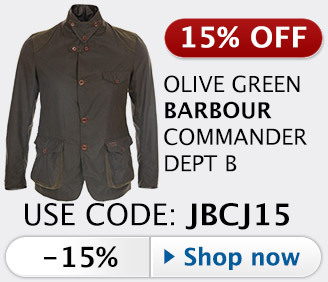 The original Barbour Beacon Heritage X To Ki To Sport jacket worn by Bond in SkyFall is nearly impossible to find, but Barbour's reissue of the jacket, first named the Commander and now "Beacon Sports Jacket", modelnr MWX0007 is virtually the same except for the wind flap, hood and logos. 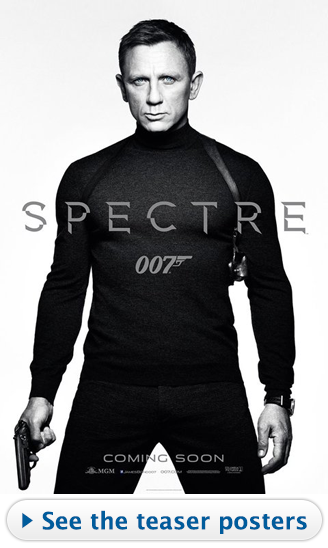 The Tom Ford knitted sleeve bomber jacket worn by Bond in SPECTRE is still available at Mr Porter. 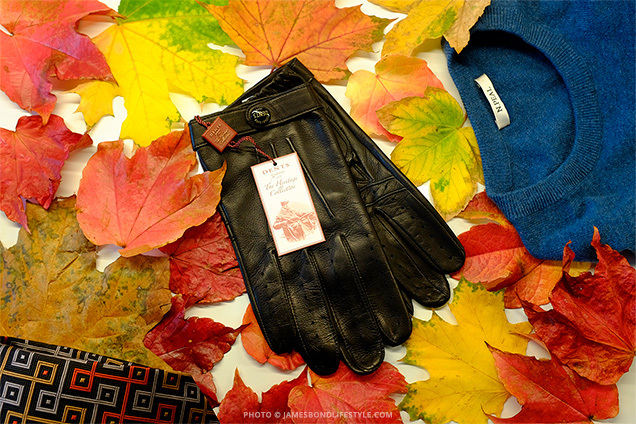 Too cold or rainy to go outside? 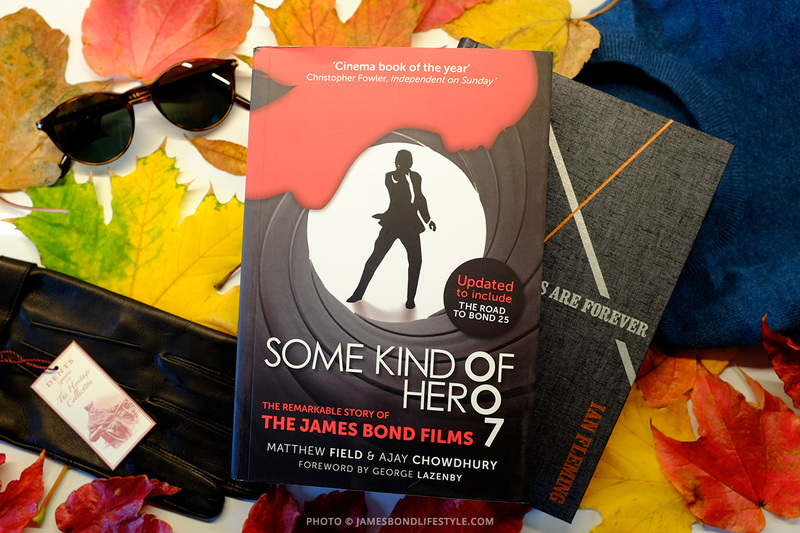 Pour yourself a Macallan and stay inside with a book to read up on your Bond facts with the new edition of Some Kind Of Hero, an indepth behind the scenes of the James Bond films, by Bond experts Ajay Chowdhury and Matthew Field, foreword by George Lazenby. 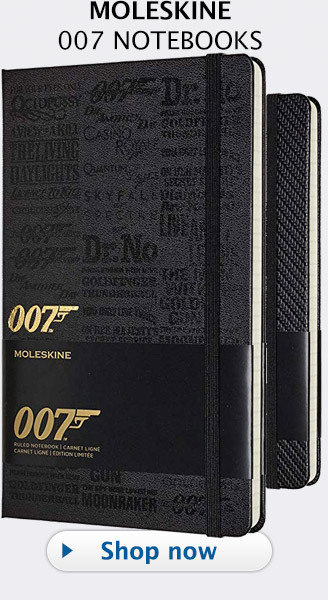 Gift idea: Legends: James Bond tie collection. 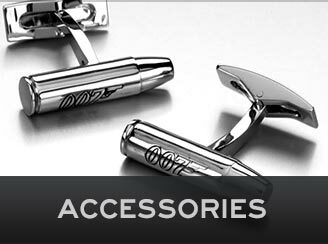 This trio of ties are official replicas of original designs worn by Pierce Brosnan during in Tomorrow Never Dies (1997), The World Is Not Enough (1999) and Die Another Day (2002).